Christmas at Rowallane Garden | SCENE! The Christmas trees are up and the decorations are out, so it is time for a Christmas visit to Rowallane Garden, Saintfield for the popular Yuletide Market on Saturday 12 & Sunday 13 December from 12-5pm. Come and soak up the Christmas atmosphere with dozens of local craft and food stalls, selling a range of locally produced items and festive goods. The Rowallane gardening team has been working with the support of Downpatrick New Horizons – Action Mental Health to produce stunning festive wreaths, which will be available throughout the weekend. The inspirational Head Gardener will also be on hand demonstrating her floral art skills, making it the perfect place to get that special handmade craft for the dinner table or a gift for a friend. Whilst browsing around the stalls soak up the festive atmosphere created by local choirs each day in the Stableyard, sip on a cup of traditional hot mulled punch or take the weight of your feet with a winter warmer in the Rowallane café. They’ll also have a children’s carousel and the chance to meet Trixie and Pixie the NI Reindeers who will take you on a walk to find a famous chap with a white beard and a red suit, who keeps going missing! So, start the festive season with a swing and come along to Rowallane Garden. Avoid the last minute rush by visiting this long standing traditional Yuletide Market, where you will be able to do all your festive shopping in one. 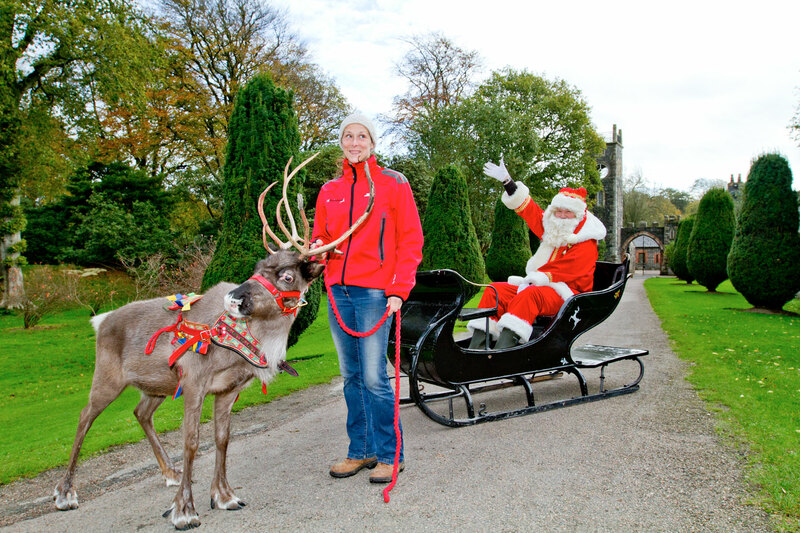 Don’t forget to take Trixie and Pixie to find Santa- a magical experience not to be missed! Normal Admission and National Trust Members free admission apply to this event.